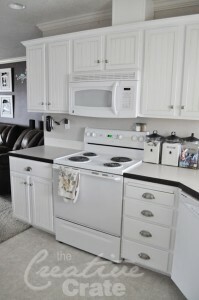 When your kitchen needs a face lift refacing your kitchen cabinets is a very popular option. 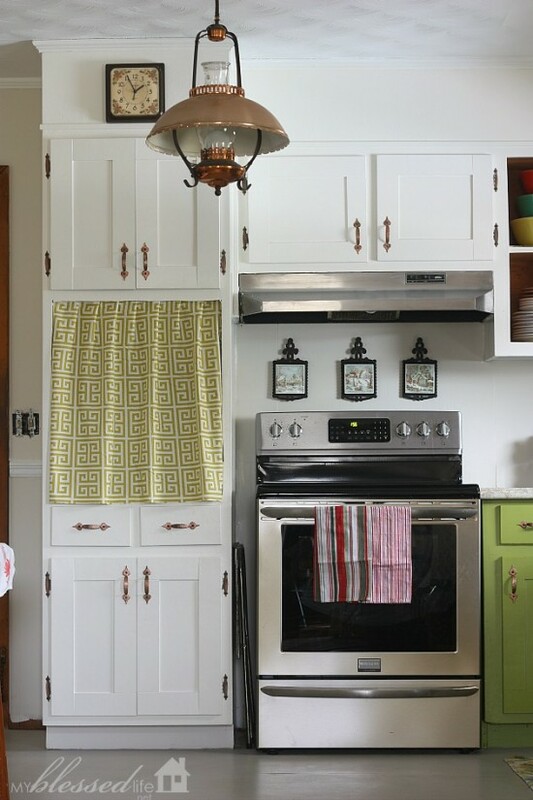 Whether you hire a professional or order new doors and hang them yourself you will certainly save yourself considerable amounts of money compared with installing brand new cabinets. But wait! 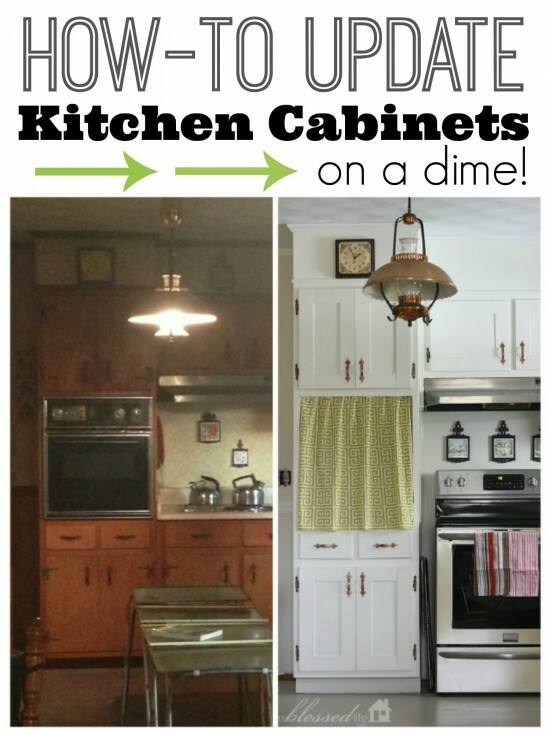 Perhaps you don’t need new cabinet doors at all? 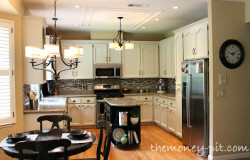 Take a look at these before and after images of some refurbished kitchen cabinets by Myra over at myblessedlife.net. 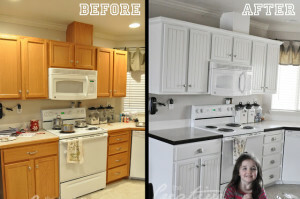 I won’t lie…if the cabinets, as they appear in the before photo, were in my house I would be tearing them out and burning them in the backyard. Which just goes to show that Myra has more vision than I do! 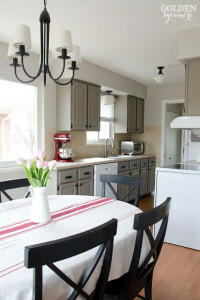 I won’t go into too much detail on how Myra achieved this complete transformation (click on the link below for the low down), but essentially lots of TLC, some plywood, a nail gun and paint sprayer were all used. 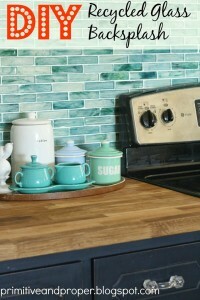 Well she’s made me look at old kitchen cabinets in a whole new light…outstanding Myra!